Spectrum Therapy Products, is the manufacturing leader offering the bio-mechanical advantage when it comes to ankle and knee rehabilitation. Our Products are made in the USA and we are the market leader in the field of physical therapy, exercise therapy, rehabilitation, and user-friendly home therapy with a full line of core stabilization products featuring the BAPS board. We have been manufacturing and distributing the BAPS Board since 1986 and have been the innovator of this core concept from the day that Gary Gray who is known world-wide as the father of “functional rehabilitation” and Jerry Seel patented this concept into a functional piece of equipment that has been in the therapeutic rehabilitation arena for almost 30 years. We are excited to introduce to you the new AirBAPS which delivers exceptional balance, propreoception, stability vs. instability, and is fast becoming a staple in training and conditioning protocols. 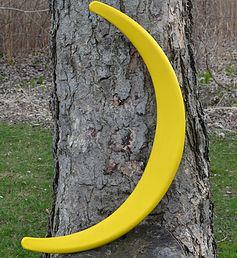 Spectrum Therapy Products is committed to providing the highest value and best experience. We look forward to working with you and will continue to make every effort to support your therapeutic challenges. 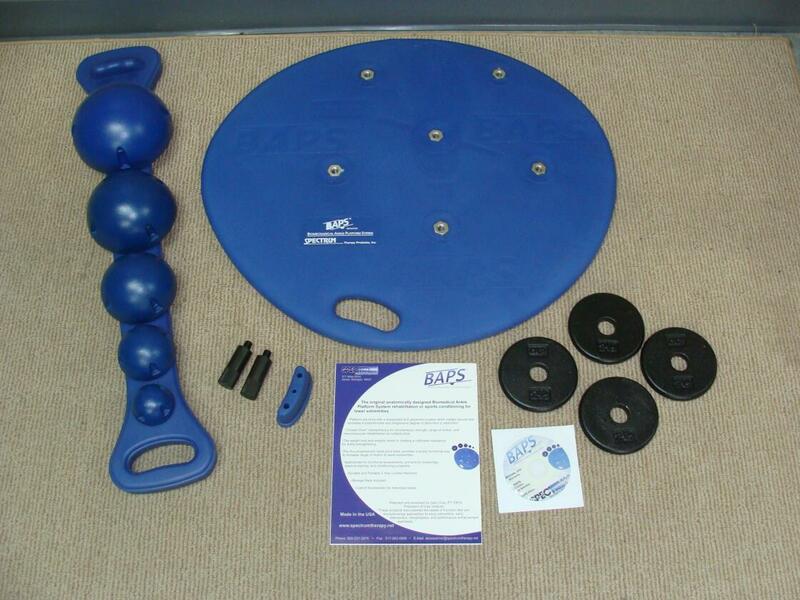 A BAPS Board is used to improve balance and proprioception in the ankle, knee, and hip after injury or surgery. The BAPS board is an irregularly shaped disc with screw holes that are mathematiclly placed at specific axis and pivot locations. There are five hemispheres of varying sizes that are screwed into these locations and strategically used to create balance challenges designed to work specific muscle groups throughout the foot, ankle, leg and hip. On the top side of the disc is an outline of a foot. This is where the foot is put in the proper alignment to get the maximum benefit from the board through appropriate routine strategies guided by a Physical Therapist or Sports Medical Physician. The board has two sides. One is designed for the right foot and the other side, for the left foot. As the patient progresses through the 5 levels and weight is added to the board the patient then master's each level and strengthens all of the necessary muscle groups to bring about their complete rehabilitation. An AirBAPS board is designed on the same BioMechanical premise as the blue BAPS Board but uses air to create the correct amount of pressure stabilizing and destabilizing the board as the board balances on a blue ball that is screwed into the bottom. The patient places their foot on the appropriate axis points and pivots the board in specific directions to work specific muscle groups. These exercises are conducted under the guidance of a Physical Therapist or Sports Medicine Doctor or Practioner to ensure the proper muscle groups are being used and the correct amount of air is in place bringing the complete rehabilitation to the patient. The Satellite BAPS Boards are designed for Pediatric use for both the left and right lower extremity. Each board has a pivot ball built into the bottom of the board and operates on the same premise as the BAPS Board and the AirBAPS Board. These boards assist Physical Therapists in rehabilitating children who have lower extremity muscle challenges. 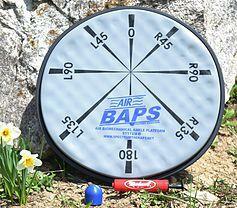 The Range Limiter attaches to the Blue BAPS Board to limit the range of motion while using the BAPS Board. 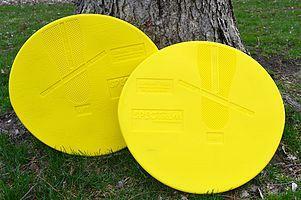 This adds more control and stability of the board for the user. The Physical Therapist or Athletic Trainer will apply the Range Limiter to the correct location on the BAPS Board to assist the user in manipulating specific muscle groups and controlling the range of motion. 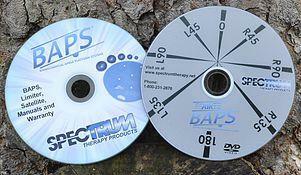 All of our products come with an instructional DVD to assist in using the product correctly.